Let’s look at some indispensable words for your stay in Japan. Wabi-sabi is the Japanese concept of appreciating the beauty of modest, humble and impermanent things. For example, an aged and weathered shrine made out of wood could be said to have more qualities of wabi-sabi than a newly built concrete building. This is because although the new building would be more modern and perfectly clean, it could also be viewed as too artificial and soulless; whereas the old shrine, despite its imperfect and aged appearance, has the visible authentic craftsmanship it would have taken to build it. You could kind of say that it is to find beauty in old things; however, wabi-sabi is not bound by time. Wabi-sabi could also be observed in the mellow sound of rain, the peace found in a Zen garden, or by looking at the moon floating above a ribbon of clouds. Fūryū is a Japanese phrase which basically expresses one’s appreciation for the traditional elegance and refinement of an art, object or place. It is, in a way, the opposite concept of appreciation to wabi-sabi in　that fūryū appreciates overt elegance and beauty, whereas wabi-sabi appreciates modest elegance and beauty. 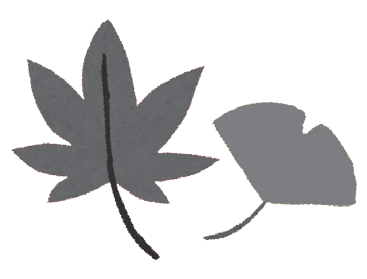 For example, fūryū could be used to describe a boat trip down the river surrounded by colourful autumn leaves, wearing a matching colourful kimono with a refined design. Another example is how people appreciate watching fireflies flying to and fro in the dark at summer festivals, illuminating the scene with a fantastic atmosphere. The concept of giri exists inany culture, but the degree　of exercising it is far more　widely spread in Japan. Giri　can be translated as a ‘social obligation’ or ‘debt of gratitude’. 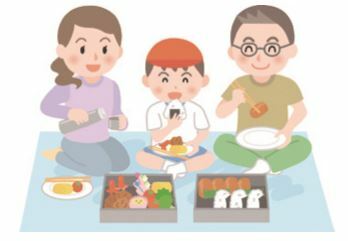 For example, gift giving in　Japan could be considered to　be marked by a custom of giri, where it is expected gifts of more value should be reciprocated. a spontaneous expression of kindness towards others. to donate money to raise　funds for the affected areas. However, those who do donate could be said to be doing their part through ninjō, without wanting or requiring a return for their actions. word arbeit, in Japan the word describes temporary employment associated with unskilled and low-paid work. Arubaito is often done by students seeking to move on to full-time work or by those who cannot find full-time employment. While arubaito are traditionally considered to be low-status jobs,　recently there has been a trend where young people seeking a more flexible lifestyle, known as friita, choose arubaito jobs instead of joining the restricted structure of full- time employment. The word “restructure” in Japanese, pronounced risutora, refers to downsizing and lay- offs due to recession. It was coined during the 1990s with the collapse of Japan’s bubble economy when property prices plummeted, forcing the lay-off of thousands of sarariman (white-collar workers) who would have expected to keep their jobs until retirement. 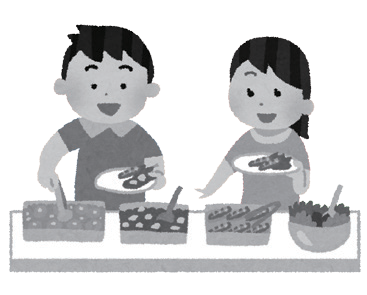 In Japan, the word for buffet is baikingu from the English word “Viking”. In 1957 a Japanese cook encountered the Danish smorgasbord and thought to bring this idea to Japan. However as the word smorgasbord is hard to pronounce in Japanese, these buffet-style meals were renamed baikingu. Combining the words “salary” and “man”, sarariman represents the hard-working Japanese white-collar worker. In Japanese popular culture such as manga and anime, the sarariman is the typical father character who works hard at the office late into the night. This portrayal is often close to the real-life experience of many sarariman. Like Beatlemania, the word mania defines someone with an almost fanatical interest in something. Unlike the word otaku, which also suggests a strong obsession, the word mania does not carry any negative connotations. Adding mania on the end of another word can be used to describe　a personal obsession or a community of enthusiasts interested in the same thing, for example cosplaymania or denshamania (train enthusiast). The word “poteto-furai” in Japanese refers to french-fries or chips and is pronounced, po-te-to fu-rai. It is a famous snack all over the world. The word “furai” refers to deep-frying in Japan. Most deepfried dishes end with “furai”, such as ebi-furai (deep-fried prawns) and kaki-furai (deep-fried oysters). “Konsento” means electrical socket or plug in Japan. The word originally comes from, “concentric plug”. The word “socket” or “plug” are not used in Japan. Also, there are no columnar-shaped plugs or 3-pin plugs utilised in Japan, instead a 2-flat-pin plug is used. Therefore, if you travel to Japan, you may need to buy a power plug adapter beforehand. A gasorin stando is a petrol station in Japan. 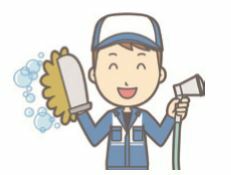 There are 2 types of gasorin stando, one is self service where you can pump the gas by yourself and the other is the old-fashioned gas stand where staff will pump the gas for you and also provide after service such as window wiping and ashtray cleaning. “Itadakimasu” (i-ta-da-ki-mas) is one of the first words you’ll hear when enjoying a meal with a Japanese person. It’s the Japanese equivalent to saying grace before starting to eat. Japanese people also place their hands together when they say “itadakimasu”. This is to show respect and gratitude for both the food and person who made the meal. You may have also heard the word “gochisousama” (go-chi-sosa-ma), which means, “thank you for the delicious meal”. Japanese people say this word whenever they have a meal regardless of their age or where they are eating. Customers usually like to say, “gochisousama”, to the chef and staff at a restaurant when paying the bill to express their satisfaction. Next time when you have a meal, you can show your appreciation and satisfaction to others by saying, “gochisousama”. “Otsukaresama” (o-tsu-ka-resa-ma) is a term often used at work to express a job well done to colleagues leaving the office or coming back from a business errand. “Otsukaresama” is frequently misinterpreted as “tsukareru” which means “to get tired” in English because of the similarity in pronunciation. However, the term “otsukaresama” is simply used to pay tribute to or show care for the person who has completed a certain task. In younger generations or people in close relationships, this word can be shortened to “otsukare”. Also, when someone leaves an office, they say, “Otsukaresamadesita”, which tells colleagues that they are leaving for home. You have probably heard the word “tadaima” in Japanese movies or anime. “Tadaima”(ta-da-i-ma) is used for when someone comes back home. In English it means, “I’m home”. Another word you may be familiar with is, “okaeri”(o-ka-e-ri), which means, “welcome home”. “Okaeri” is used by the person who is already at home to welcome the person coming home. 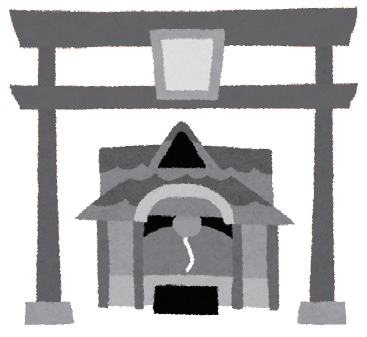 “Tadaima” and “okaeri” are very common words that you will often hear in a traditional Japanese house. For example, Japanese mothers say, “okaeri”, to their children when they come home from school and the children respond with, “tadaima”. You can use “tadaima” on your own if you are single and if you have a family you can say, “okaeri”, to another family member when they return home. If you remain single, then you will need to find someone first to say “okaeri” to. Another Japanese word is, “okaeri-nasaimase”, which is a more formal and polite way of saying, “okaeri”, to people who you are not familiar with. You may also hear this from the staff at a Japanese traditional hotel such as a ryokan or a minshuku when they welcome their customers back from an excursion or outing.